Last week, I was invited to Atlanta to attend #EDexpo2015. I had the incredible opportunity to interact with hundreds of educational brands, products, vendors, and dealers – all under one roof. 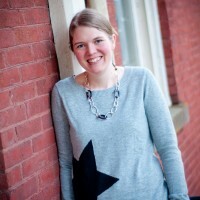 Each blogger was tasked with the job of creating a top ten list – selecting our favorite products. Our top ten lists were collected and compiled, and the following ten products were those receiving the most votes. Stay tuned as I will be sharing my personal Top Ten Products in the coming week. While only a few of my personal top ten items made the official list, there were a handful of these products that I absolutely LOVED. Some of these vendors were the nicest, warmest, most deserving folks on the planet. I’m so excited for each of these brands and can’t wait to see how teachers and parents across the country implement these products. Isn’t education exciting?! I get goosebumps thinking about all the innovative new ways kids are going to learn!! 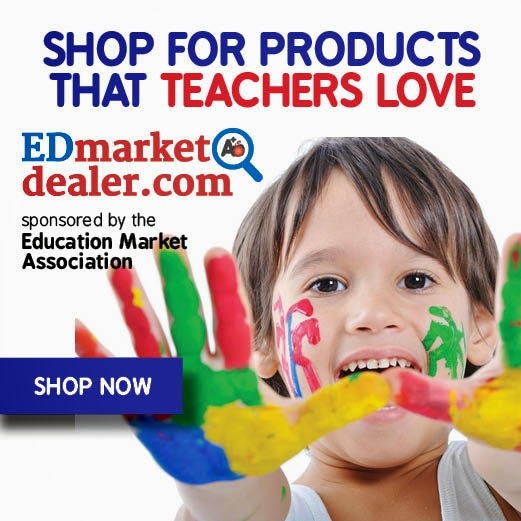 Thank you to EDmarketdealer.com for sponsoring the event, and bringing together teachers, vendors, products, dealers, and bloggers – to showcase and highlight the best and brightest in education. I have included links to each product’s website as well as links to purchase each product on Amazon. Amazon links are affiliate. 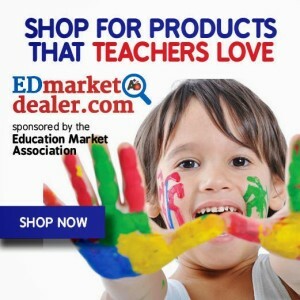 Please make sure to check out and support each company on Twitter, as well as check out their full line of educational products. 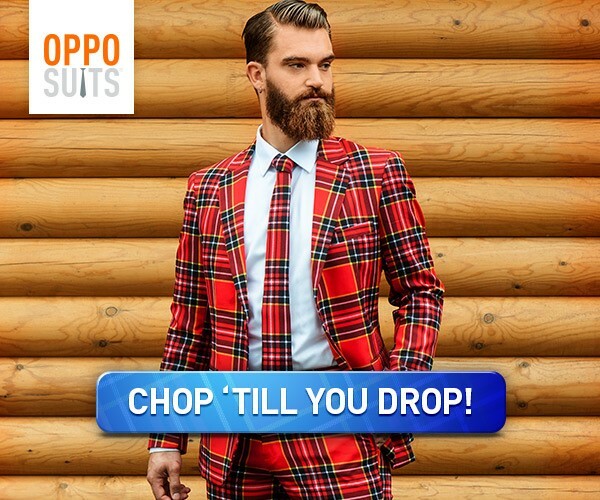 I did not see this product until after my official list had been turned in – or I would have hands-down voted this as my favorite. This is an INCREDIBLE product, and a must-have for parents. Children use interactive number and letter sets with your iPad to learn not only letters and numbers, but more complex skills like letter sounds, decoding, addition, subtraction, and more! 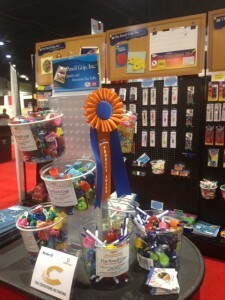 This product was also voted the overall conference winner by all attendees – not just the teacher bloggers! You have to check this out!! The Reading Game is an exciting new way to teach children to read. Stay tuned for a more complete review and giveaway of The Reading Game in the coming weeks! Each of The Reading Game’s six stories is told using just thirty new words. These are broken down into six sets of five words. The student learns to read each set of five words by playing a simple word matching game. Frequent exposure through play hardwires these words into long-term memory. Rote learning is transformed into a fast-paced game with a winner every few seconds. This company could not be run by nicer people. 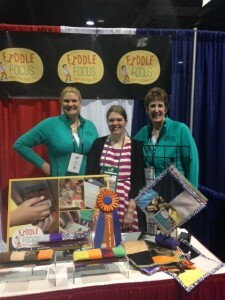 Wonderful people with a fantastic product – does it get any better? Say It! 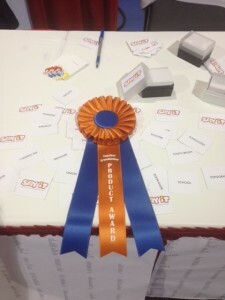 is an exciting vocabulary/story-telling game that is fun for the whole family! 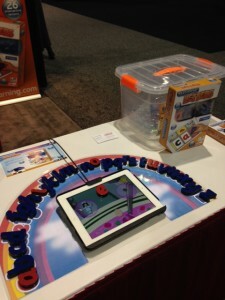 Kids and parents alike will have fun using and learning (and reading!) vocabulary words in a round-robin story-telling game. 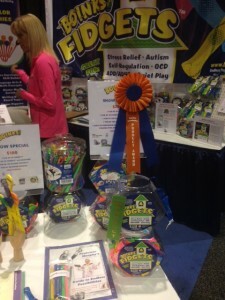 Fidgets are an important tool for teachers and parents to help their active, kinesthetic, sensory learners. Some kids learn better whilst fidgeting! Busy hands equal busy minds for many kids. 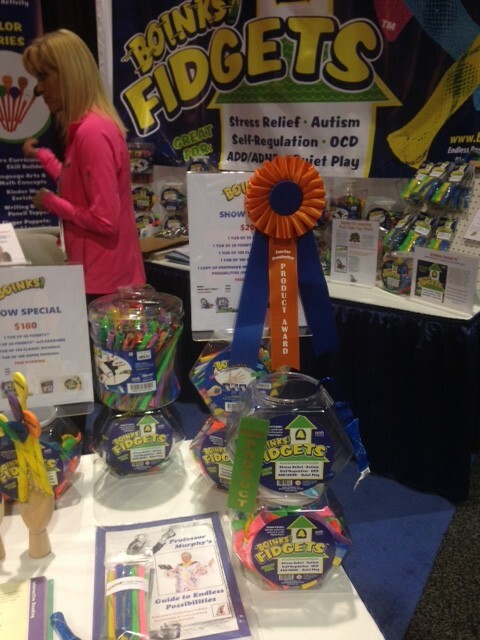 Fidgets and Boinks keep hands busy (but safe) helping kids focus and get the sensory experience they need. Goldiblocks are an exciting toy designed to get girls excited about science and engineering. 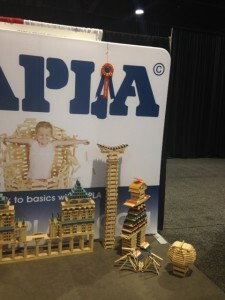 A class set allows more than one child to play, learn, build, and construct at a time. This product made my personal Top Ten. I LOVE this product. 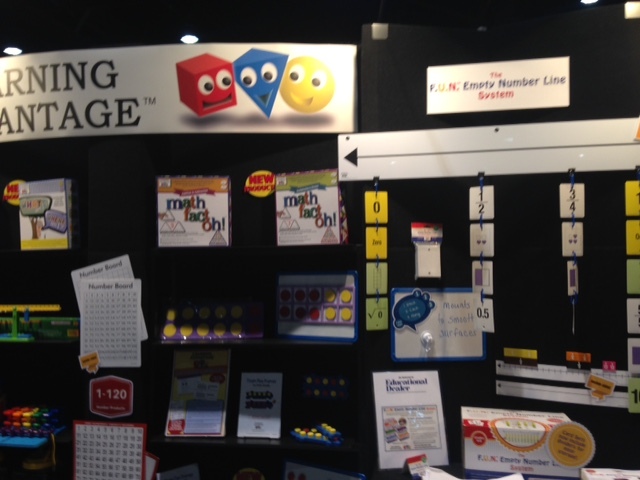 Not only did this number line make ME excited about math, it is going to help so many kids develop number fluency and understanding. Easy to customize, this system works well for all grade levels. Math Bands are a stylish way for kids to learn their math facts. Kids wear the colorful silicone wristbands imprinted with the multiplication fact families. For example, the “3” band features the numbers 3, 6, 9, 12, etc. I just loved the ladies behind Fiddle Focus. I could have stayed and chatted with them all day. Their products help calm children and facilitate emotional regulation through sensory stimulation. Children with sensory issues will benefit greatly from a Busy Fingers or Busy Hands product. The Pencil Grip is the #1 highest-rated ergonomic grip! This grip is recommended by teachers, doctors, and therapists, and is designed to help kids learn to write properly! It is comfortable and comes in a wide variety of colors. 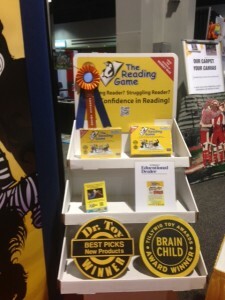 I wasn’t able to see the Circut Sticker Books firsthand, but they created quite a buzz amongst the bloggers who did! Make sure to click to learn more about this exciting product! Kapla Blocks are the ultimate in creative inspiration. I love that they don’t come with instructions – kids are free to explore and create whatever they can imagine. These blocks are capable of creating some truly impressive masterpieces! I was not able to see this product firsthand at the expo, but make sure to check out this exciting science kit! The company has a full line of fun, interactive science products for kids!